Dad of The Year – Not!! 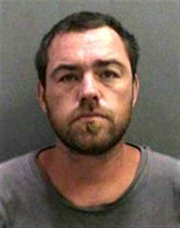 As reported in the Sacramento Bee, a father was charged Wednesday with child abuse after prosecutors said he slapped his 7-year old son until he cried then threw the boy overboard during a pleasure cruise in California. Sloan Briles, 35, of Irvine had been drinking before the boy was tossed 10 feet over the side of the Queen in Newport Harbor during a cruise on Aug. 28, authorities said. Passengers aboard the 42-foot Queen – which offers a tour past the homes of John Wayne and other celebrities – were shocked and disgusted at the incident, according to 911 tapes. No, he will never make Father of the Year and yes, this is child abuse in my eyes. If you want to read more on this story, you can check it out here. As I was reading this, I find my mind going back to an incident I and many boys suffered when I was a child. I grew up in the Midwest where it was – maybe still is – common practice to throw kids into water to teach them to swim. I was held over the railing of a river bridge, threatened with being dropped, because I was afraid to go in the water at that age. What age, you ask? I think I was above 5 at the time. Not to put too fine a point on this, but this father ought to be thrown into a vat filled with man-eating sharks. This boys will be boys, it’s a guy thing makes me want to puke.